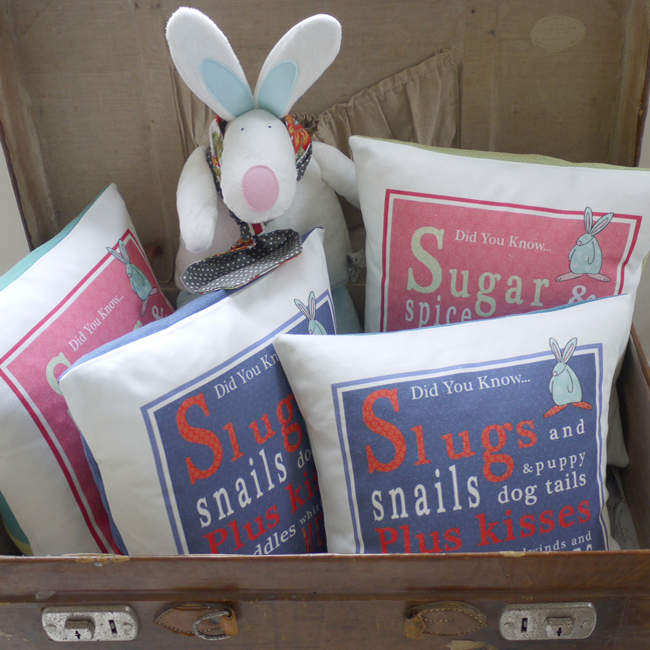 Baby Boy Slugs & Snails Handmade Cushion by Rufus Rabbit. 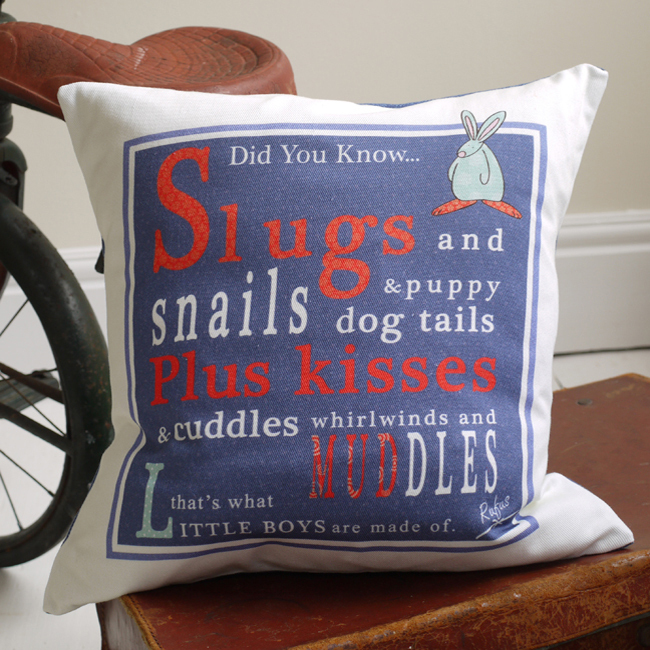 Home | Baby Gifts | Handmade Gifts | Baby Boy Slugs & Snails Handmade Cushion. Baby Boy Slugs & Snails Handmade Cushion. Did you know... Slugs and snails & puppy dog tails. Plus kisses & cuddles whirlwinds and muddles. That's what little boys are made of. 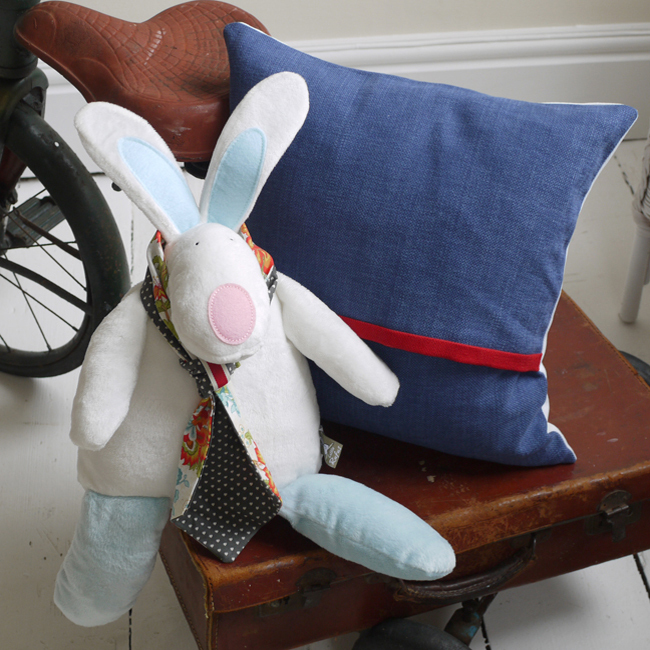 Rufus Rabbit’s baby boy slugs & snails handmade cushion is exclusive to this website. Anna Danielle, creator of Rufus, prints all her fabric in the UK. Then our fabulous sewing genius Alison turns it into something unique and original. Filled with a deluxe squashy feather pad, we think this cushion will bring a splash of colour to your little one’s bedroom. With an original twist on an old nursery ditty, Rufus attempts to bring some balance and light humour to the boys v’s girls debate. The covers are filled with a quality feather pad. The Cover is machine washable at 30c. Reshape whilst damp.